bring your vintage thingies to share! of my story books from my childhood and today I have two more volumes to share. 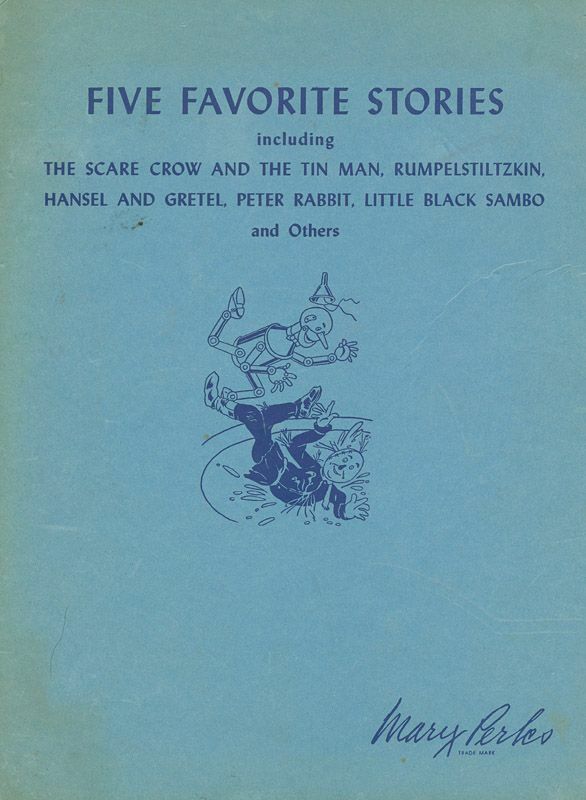 One was published in the US in 1943 under the title of "Five Favorite Stories." the restrictions on some ink products during the war years. 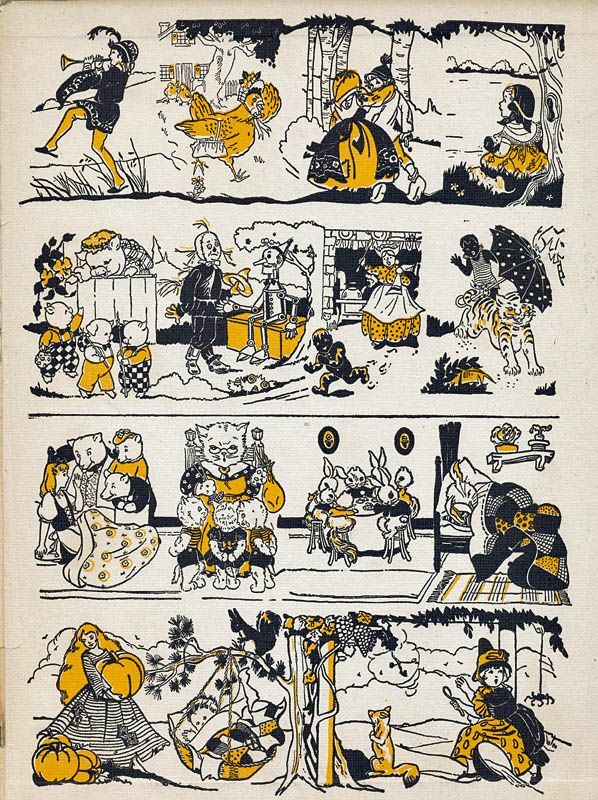 illustrations from the stories in the book. 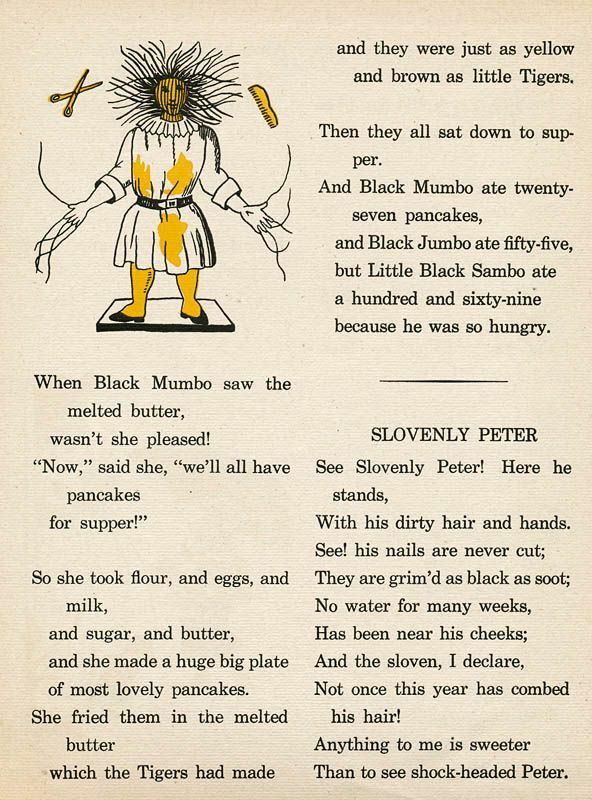 On the very last page is just a short version of the story of "Slovenly Peter." For some reason this story fascinated me as a kid. 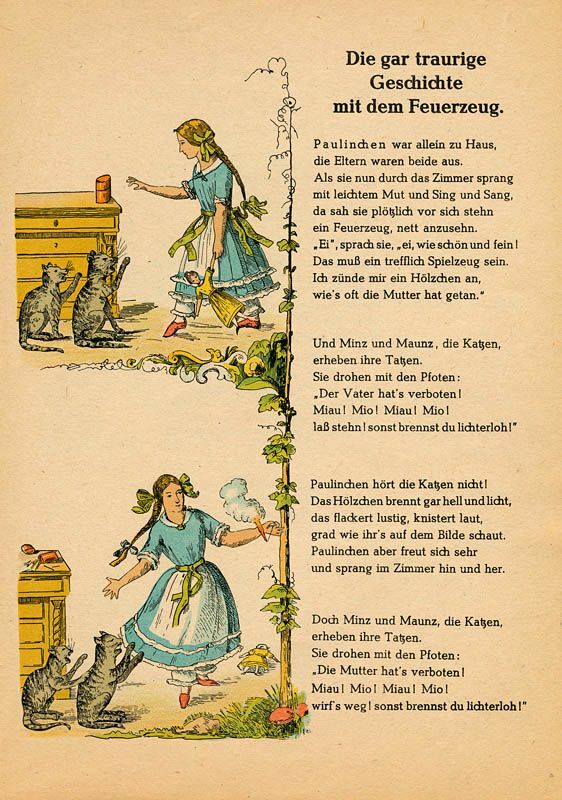 full color with a fairly literal and crude English translation included within the book. of a classic children's story. Thanks for coming by, see you next week with more vintage things! What a great book. 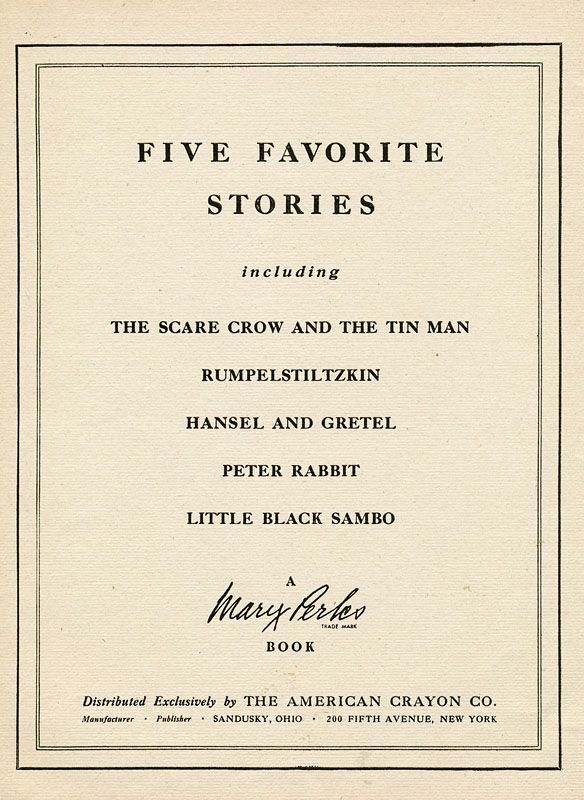 My mom always said she loved the story of Little Black Sambo, I have never seen a book that had this many classic tales in one cover! Great addition to VTT! Have a great day!! 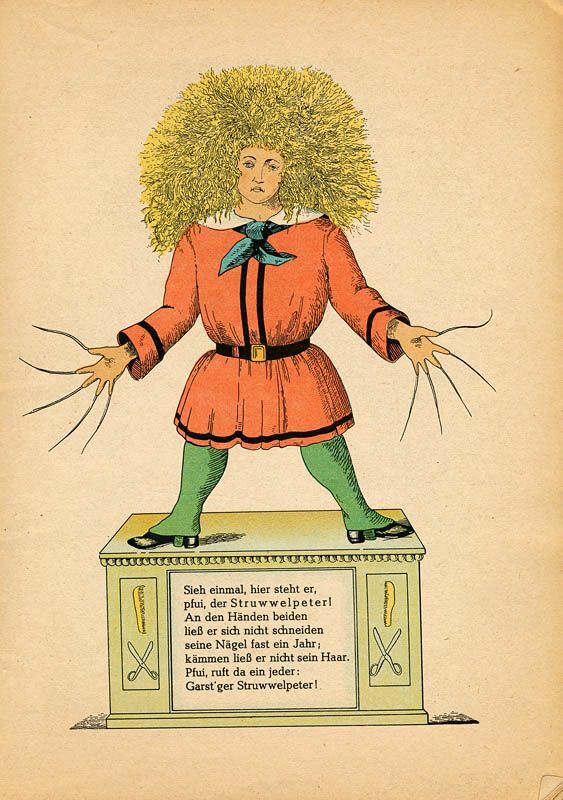 I love the artwork, expecially the big hair and long nails. The one with the fire is so sad and scary. The artwork is amazing..what wonderful books to collect. Happy VTT..have a most wonderful day..
LOL, it is so funny how grim many old children's nursery rhymes and stories were but you're right, I bet no one wanted to play with matches after reading what happened to poor Pauline and her kitties! The drawings are so charming! Thanks for sharing and happy VTT! Wow. I like the colorful graphics. I probably would have been intrigued by these stories as a child--and a bit scared as well! Yes, pretty scary for young children! It's a wonder we all survived unscathed. Or did we? Things that go "bump" in the night still scare me. Both these books are wonderful! 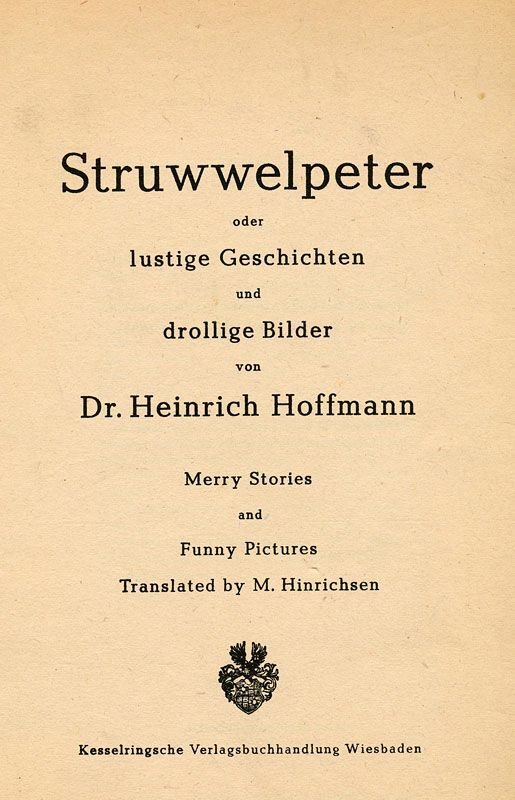 I love that you have a copy of Struwelpeter that is both in German and English...my kids had two separate editions-one in English and the other in Hebrew. 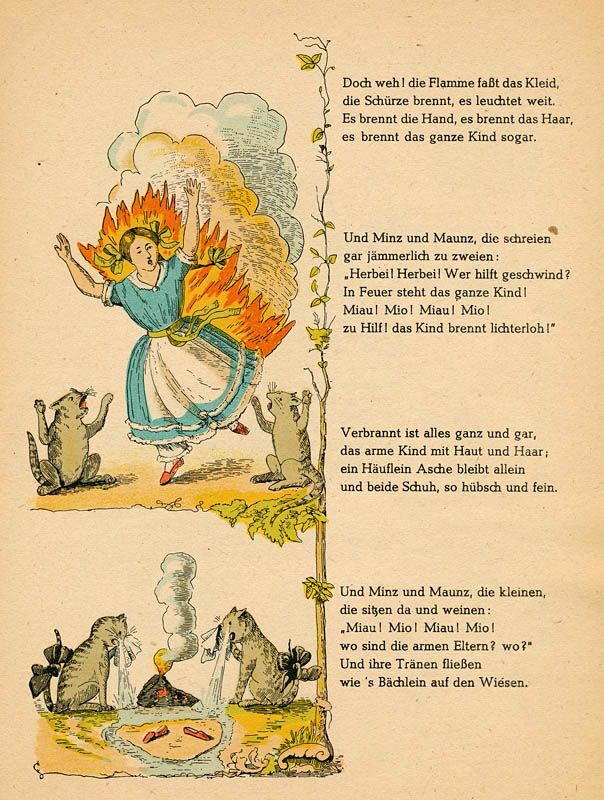 German stories always seem to carry a message told in a scary way-I'm thinking of Grimm's Fairy tales. 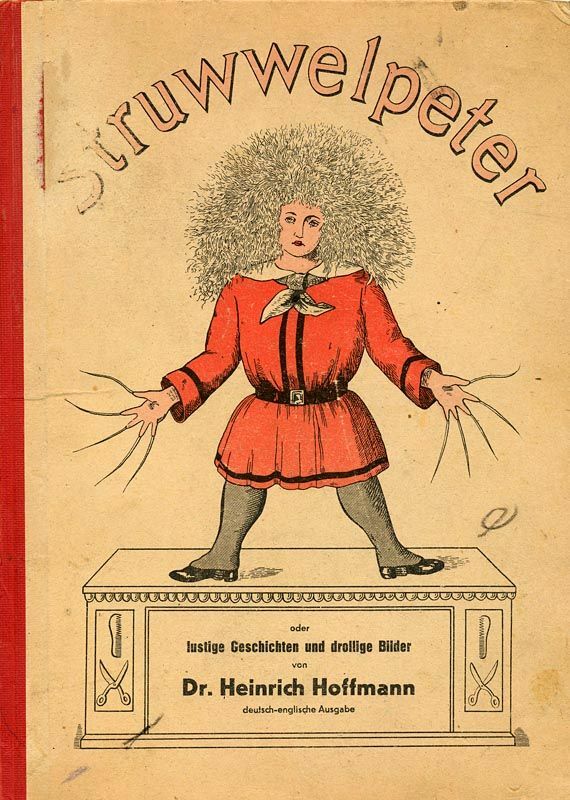 I have Struwwelpeter in German and Finnish versions, and always thought most of the stories were horrible. I can't see how those can be called "merry stories and funny pictures"! It is a classic. The bi-lingual edition sounds very special. I love the graphics. 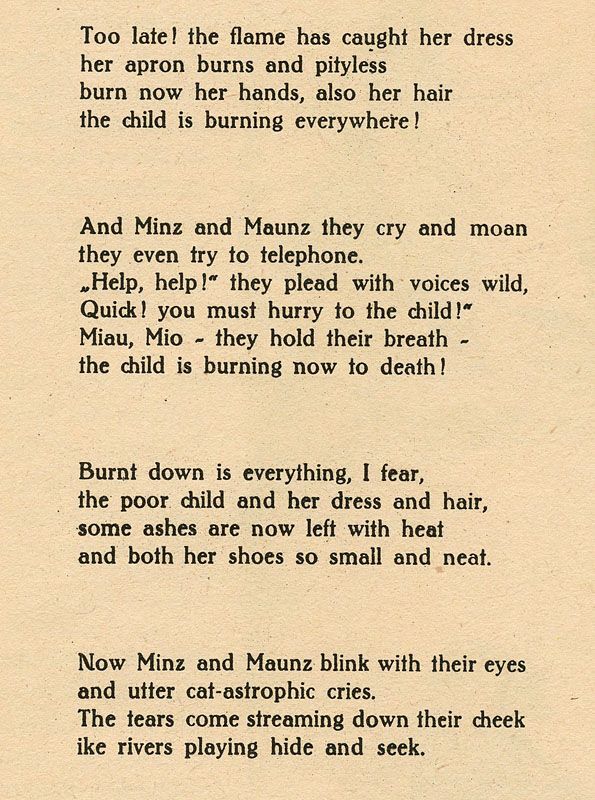 The old children's stories especially the German ones were very scary. But entertaining. Thanks for sharing. These are wonderful treasures, thank you so much for sharing them with us! 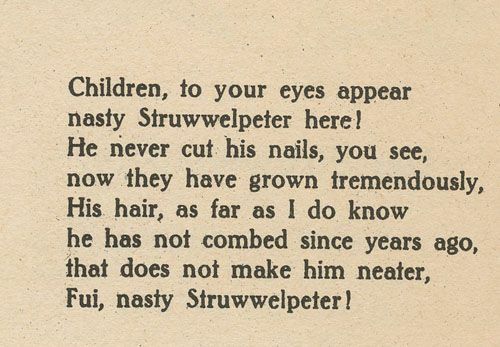 I love old children's books, I'm lucky to have some that I guess I should share one of these weeks! 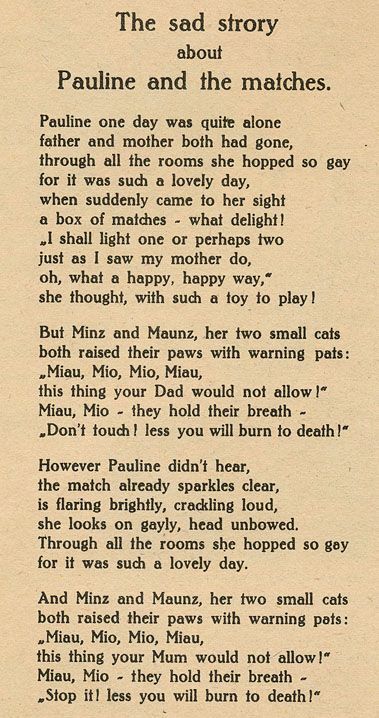 Wow, the story of poor Pauline was pretty gruesome! Thanks for sharing! I love vintage children's books! Some of the stories were a bit frightening though. You are so lucky to still have many of your old favorites! I think the illustrations in the old books are priceless. They are so detailed, I love that. Having it bilingual is pretty cool too. What lovely childhood mementos. The stories are clearly fascinating and eye-catching to children of all ages. wow amazing post! Who wouldhave thought those tales were to teach a lesson? I found you through VTT and have decided to become a follower of your blog, I'd like to invite you to become one at La Bella Vie as well. Scary stories & fairly graphic they would not be approved these days would they? Neither would the very un PC Little Black Sambo, I remember him & I loved Rumpelstiltskin! Greta old memories. Such an unkempt little man is getting so much attention! And yes Scissorhands surely comes to mind!